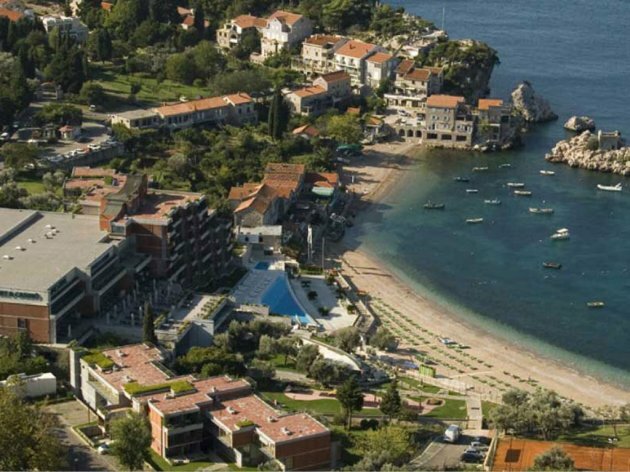 With the signing of sales contracts between Hit and Podgorica-based Monte Rock, sale of Montenegrin "Resort Maestral ended. Resort Maestral will keep its name and defining total price of transaction will depend on business results of Hit Montenegro during the summer months. Hit is planning further business cooperation with a buyer. Mother company Hit offered investing in liable company, Hit Montenegro, in line with the program of financial and business restructuring and taking into an account guidelines of strategic and developmental plans. Sales process, as the company communicated, in line with the planned stages, was conducted in cooperation with Alta Skupina" from Ljubljana which, as an exclusive financial advisor in sale, conducted transparent sale procedure successfully. Yesterday, Hit signed the contract on sale of 75,01% share of starting capital at Hit Montenegro company and supplementary real estate and tourist facilities of Maestral, Resort & Casino, with Monte Rock company whose founder and executive manager is Petros Stathis. The final transaction price will be affected by business results of Hit Montenegro until August 31, 2015.